Two-light Art Deco flush mounted fixture. In response to requests from customers with lower, standard ceilings and bungalows, now available as a close ceiling light, to join our suite of Lincoln pendants and sconces. An authentic reproduction of the Lincoln Manufacturing "Torch" style, lost wax cast brass in four finishes. Fabulous for an entryway, hall or small room. Height: 7 ¼" tall without shades (including the finial); 11" tall including the pictured shades. Wattage: Each socket rated up to 100 watts. This light is a semi-flush mount, so there is a 1 3/8" space between the top of the arms and the ceiling. Glass shades are sold separately. 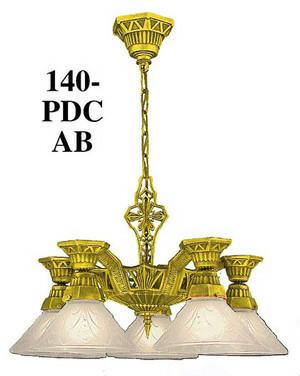 We have provided an option for this light to be purchased with our pictured Art Deco design shades in frosted or amber color, or as a fixture alone, without shades. Any 2 ¼" fitter shade, including antique original glass shades, will work if the pictured shades do not fit your décor. 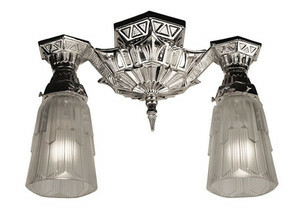 Pictured here also are a few fixtures from our Lincoln Torch line. 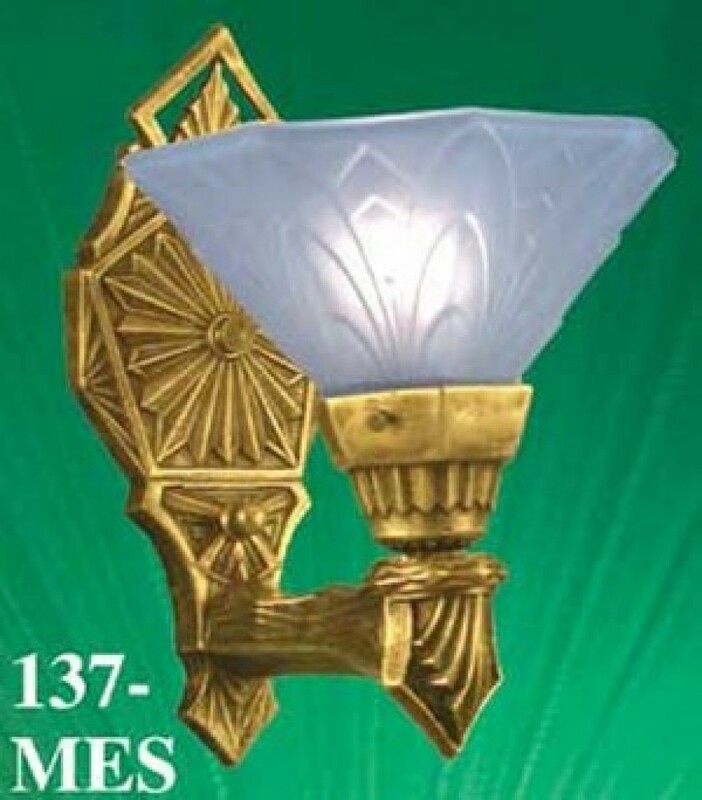 The Torch sconce is sold in the Nickel Plated, or polished or antiqued brass are also available. Choose from two five-light options: the Torch close ceiling light for standard height ceilings, or the antique reproduction art deco 5 light pendant. 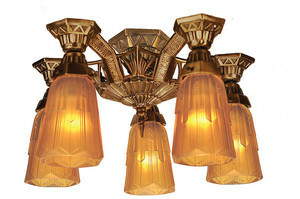 An art deco pendant with two lights is a beautiful choice for smaller rooms and hallways.